I’m going to take you step-by-step using photos and explaining in detail each part in the process. First, make sure you’ve got all of the materials needed. 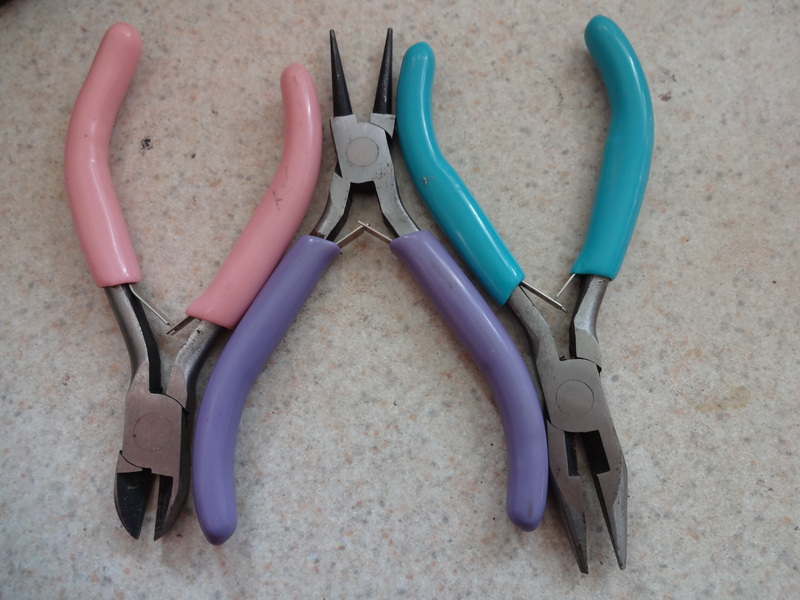 You’ll need three different types of jewelry pliers (these can be purchased at any craft store such as A.C. Moore or Michael’s, but if you’re a beginner, the ones at Wal-Mart will do just fine). 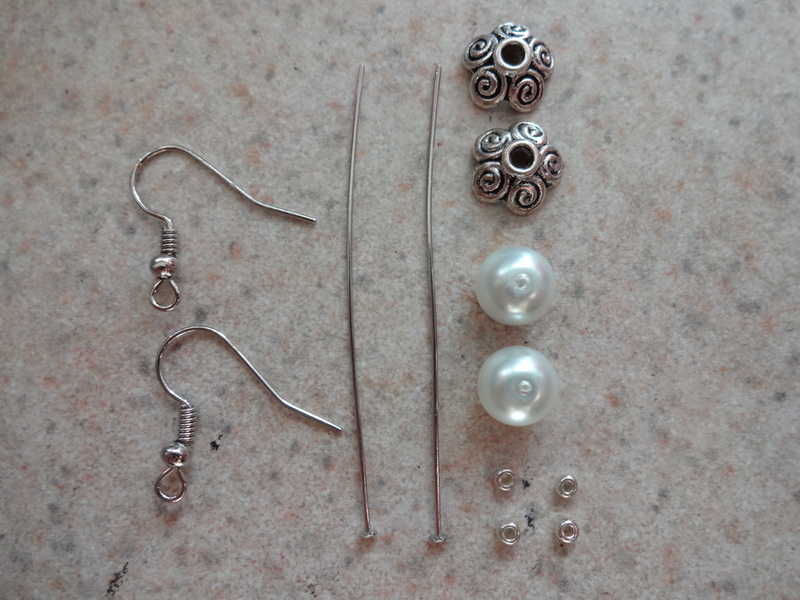 You’ll need a pair of flat nose pliers, a pair of round nose pliers, and a pair of wire cutting pliers. 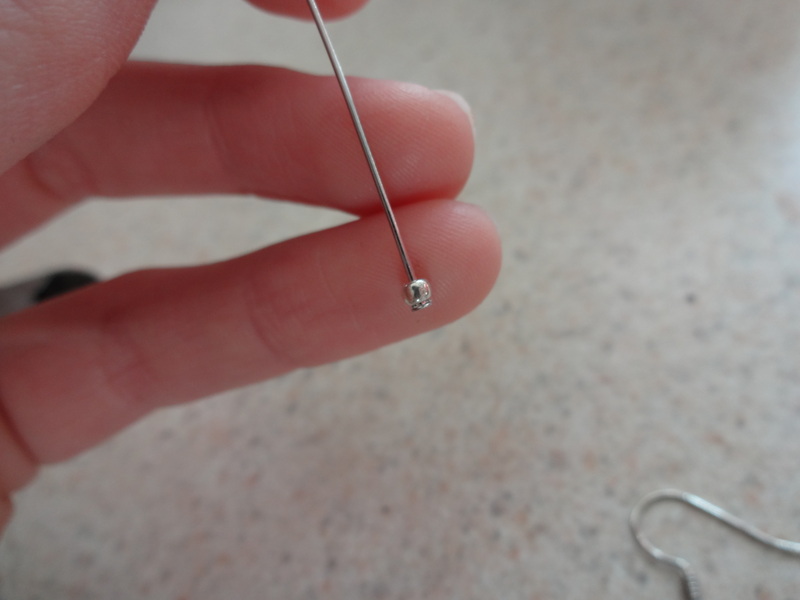 Thread one seed bead onto the eye pin finding. 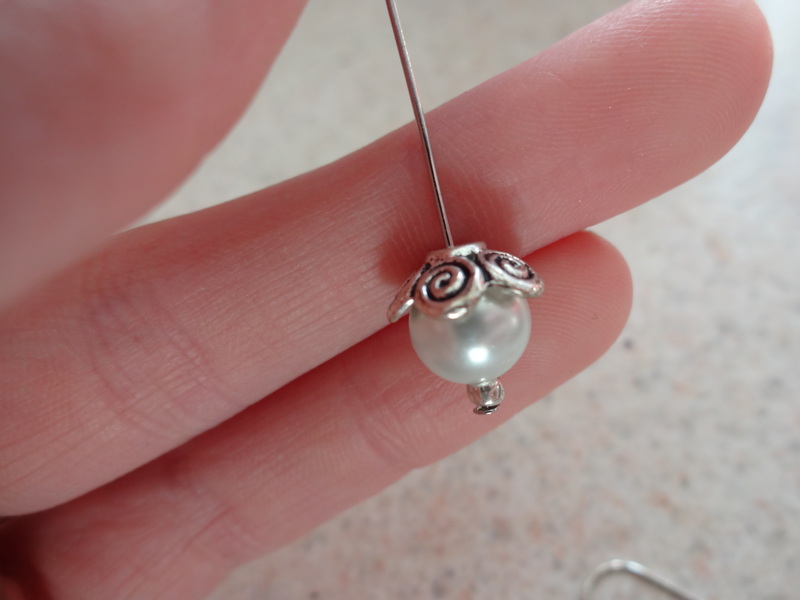 Thread your larger bead onto the eye pin finding. 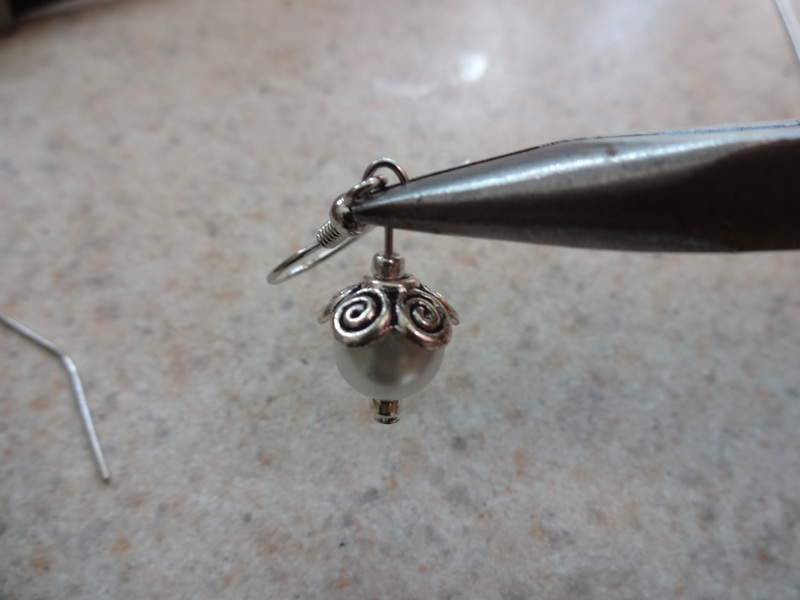 Thread bead separator onto eye pin finding (the round part should cup the bead before it as shown). 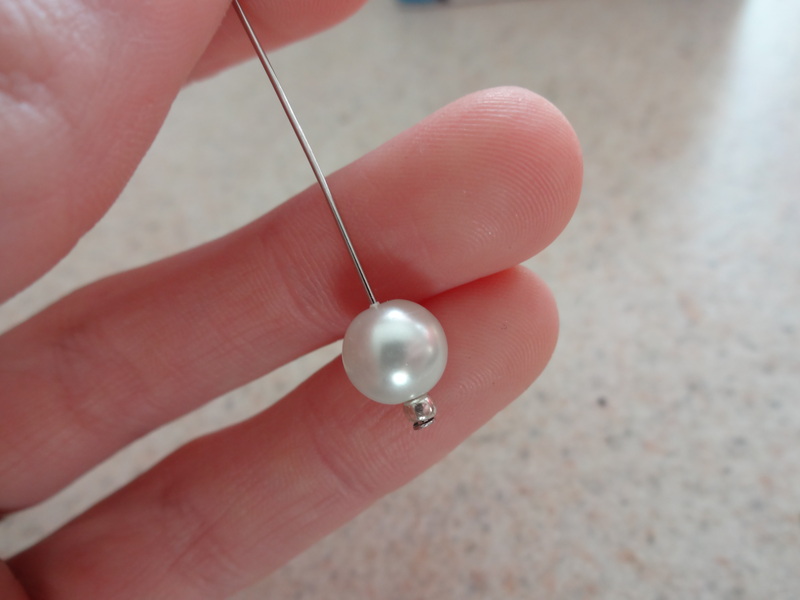 Thread another seed bead onto your eye pin finding. 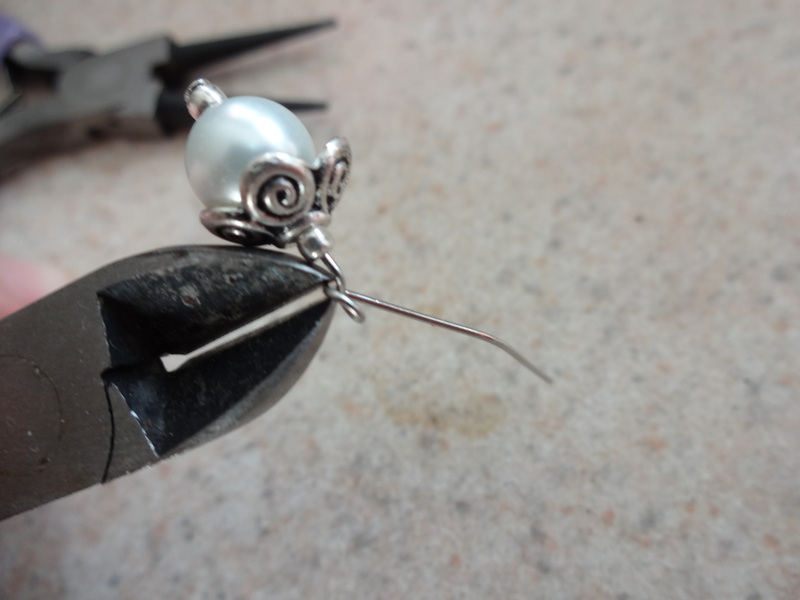 Using your flat nose pliers, bend the extending part of your eye pin to a 90 degree angle. 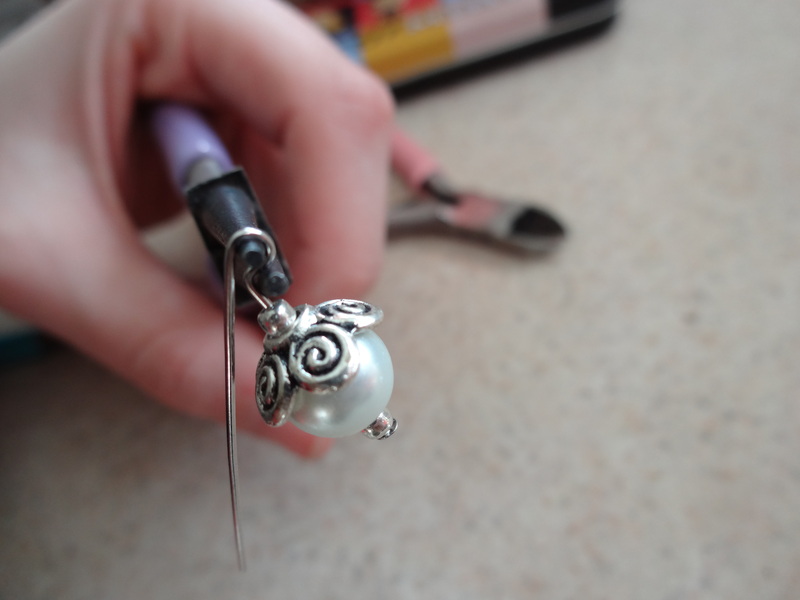 Using your round nose pliers, wrap the eye pin around one end so that it forms a question mark shape. 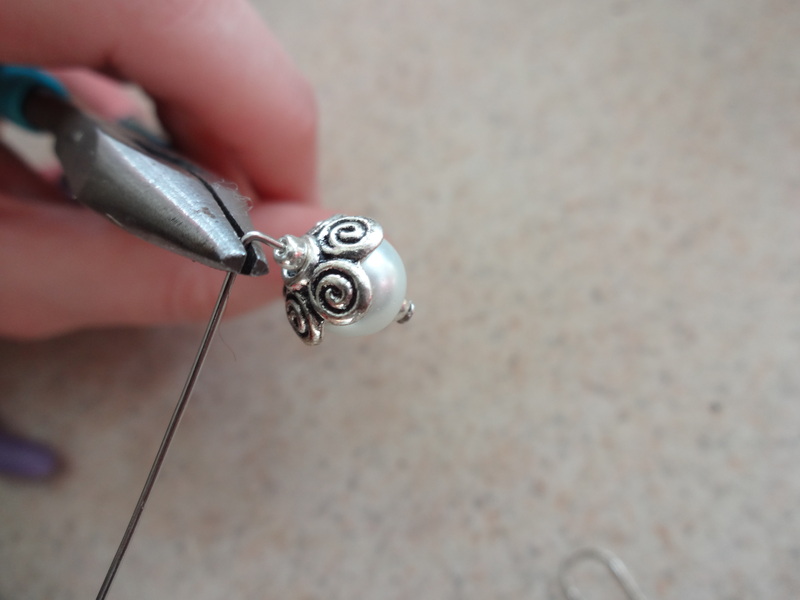 Using your wire clipping pliers, clip the excess metal off (this should be right where the wire finishes forming the circular shape formed in step six). 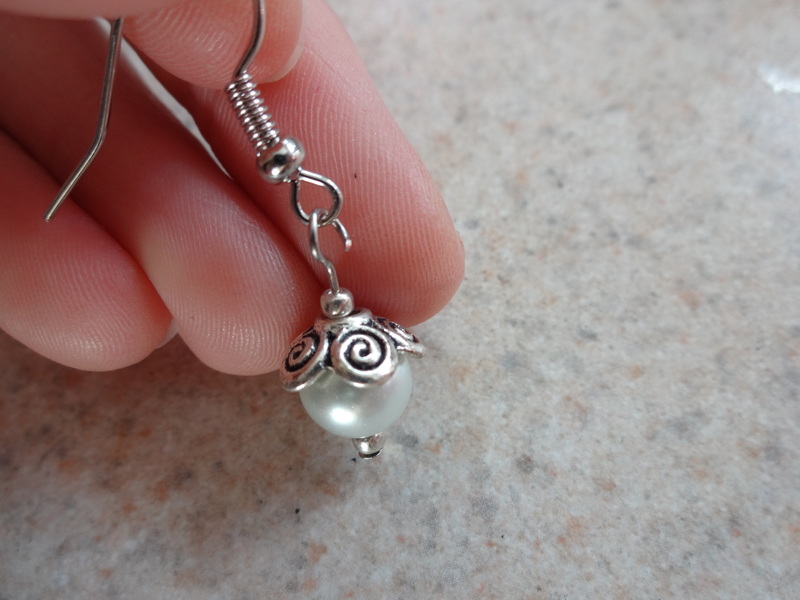 Slide through into the circular end of the earring finding. 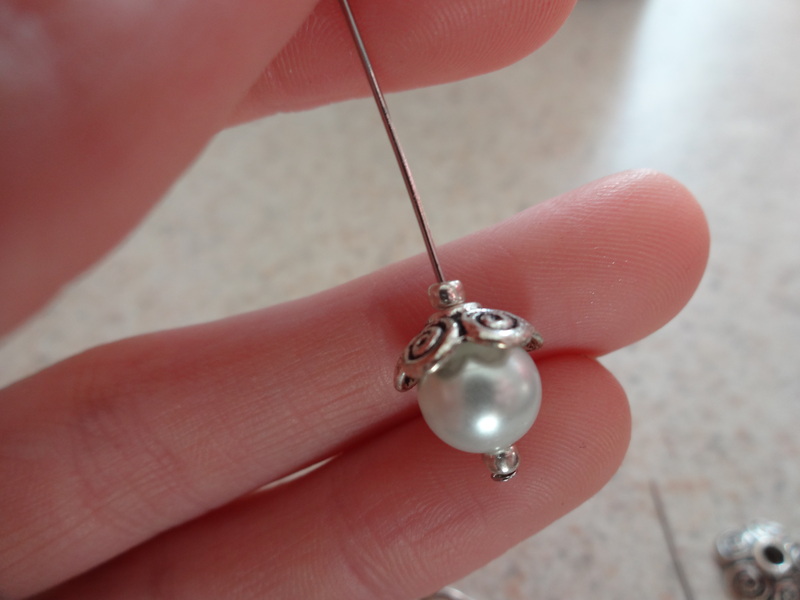 Close the opening on your eye pin. Voila! 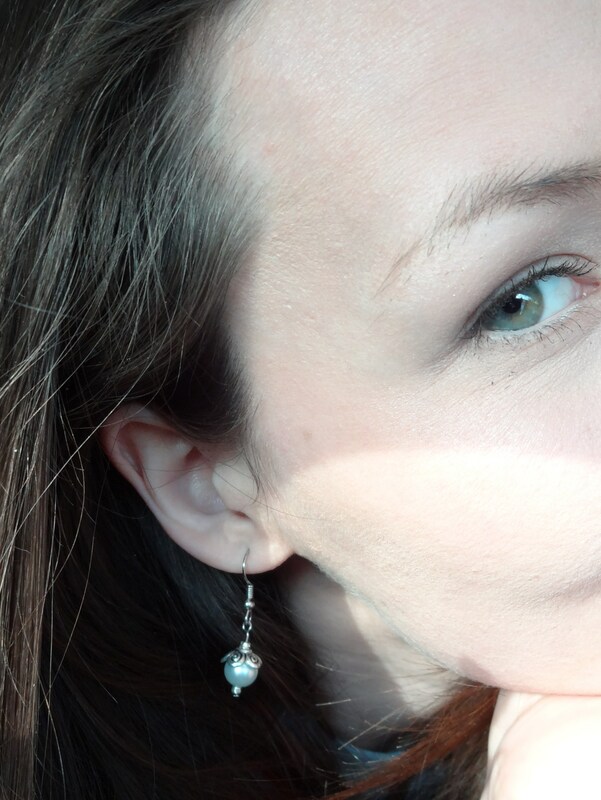 Enjoy your new, hand-made earrings! 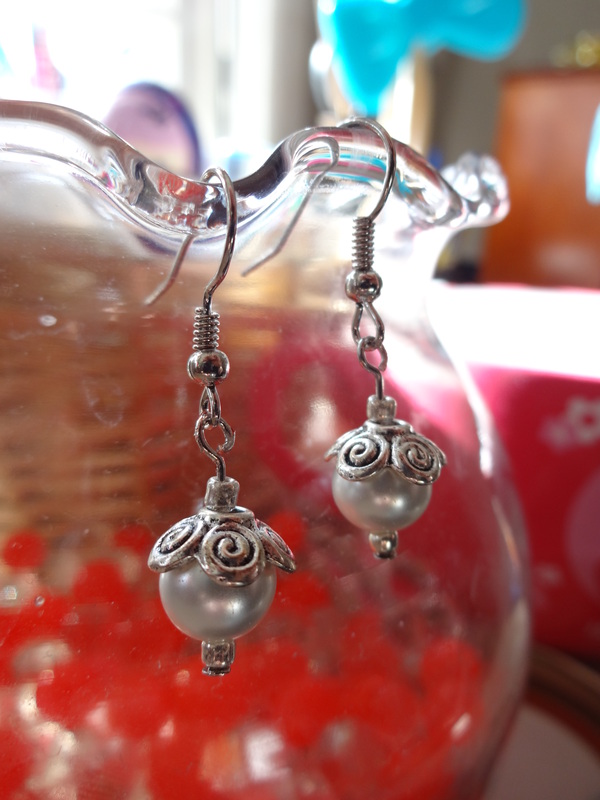 This entry was posted in Jewelry, Jewelry Tutorials and tagged accessories, bead work, beads, crafts, cute, diy, earrings, fashion, girly, jewelry, kawaii, simplistic, tutorial. Bookmark the permalink.